There are several higher education institutions in Rockland County. If you’re visiting any of these schools, consider visiting our nearby sites and dining options. Located in Orangeburg, NY, Dominican College is a nationally accredited four-year school named a College of Distinction. It has the finest athletic program among small colleges in the region. Iona’s Rockland Graduate Center is located in Pearl River, NY, and offers programs to business students looking to pursue their master’s degree. Their fast track program can help students earn their MBA up to 10 months sooner than a traditional program. This branch of Long Island University in Orangeburg, NY - LIU Hudson - offers more than 25 master’s programs in a wide range of fields including business, public administration, education and pharmacy. Their graduate level faculty members are top researchers, scholars, and educators. Nyack’s campus has breath-taking views of the surrounding area and Hudson River. Students can seek undergraduate, graduate and seminary degrees with a comprehensive list of course offerings. 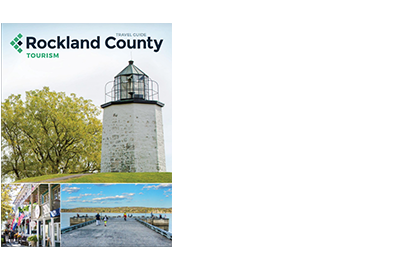 It’s very easy to take advantage of what downtown Nyack has to offer including an eclectic selection of restaurants, shops, farmers’ markets and street fairs. Just 15 miles away from New York City in Sparkill, NY, St. Thomas Aquinas is a premier liberal arts and sciences college in the U.S. The College stresses the importance to their students of achieving a well-rounded education, while being actively involved in the community. A State University of New York, Rockland County Community College strives to offer a safe, affordable learning environment for students with diverse backgrounds. Their award-winning faculty works to ensure the success of their students and meet their goals.